If your planning an outing to the movies, you can check out the app which is now available in the Google Play Store and you'll find the download past the break. Now, I know I won't be waiting in line when The Avengers comes out. PLANO, Texas--(BUSINESS WIRE)--Cinemark Holdings, Inc. (NYSE: CNK), one of the world’s largest motion picture exhibitors, announces the launch of a new Android mobile application that is available for download at Google Play. The simple, user-friendly app enables movie fans to securely purchase Cinemark’s movie tickets ‘on the go’ – anyplace and anytime. Additionally, the new Cinemark app allows users to instantly locate their nearest Cinemark theatre using GPS, search for preferred Cinemark theatre locations and even set up their own “My Cinemark” favorite theatre locations. Extra features afford Cinemark patrons the ability to check their Cinemark gift card balances and view ticket purchase history. Guests will enjoy using the app to conveniently watch movie trailers, see film ratings and browse movie synopses including cast information and more. Also, the Cinemark app allows social-networkers the ability to stay connected by sharing showtimes, favorite Cinemark locations and movie information with their friends through e-mail, text, Facebook and Twitter. 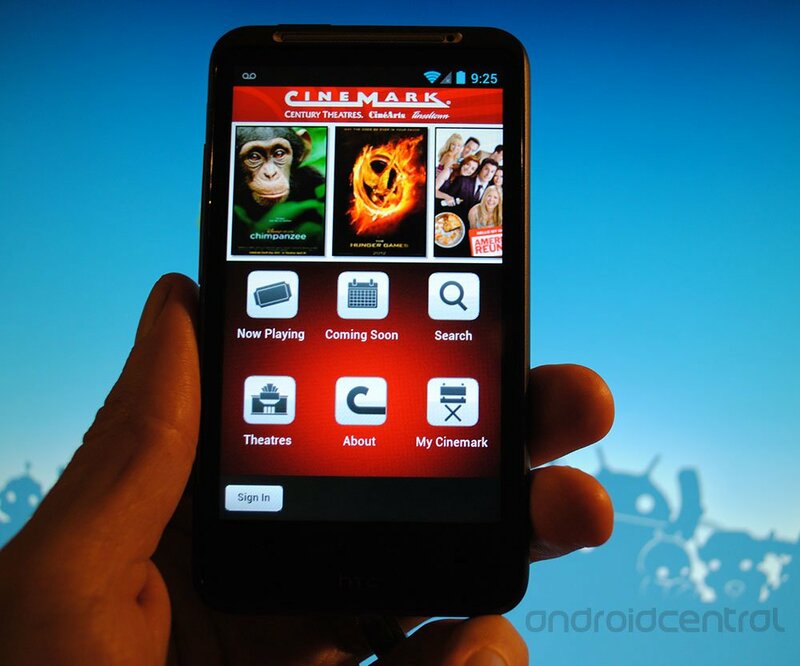 The Cinemark Android app, compatible with Android 2.2 or higher, is available for free download at https://play.google.com/store/apps/details?id=com.cinemark.mobile. The Cinemark iPhone app is available for free download on Apple's App Store or at http://itunes.apple.com/us/app/cinemark-theatres/id435965836?mt=8. It is compatible with iPhone, iPod touch and iPad and it requires iOS 4.0 or later. Headquartered in Plano, TX, Cinemark Holdings, Inc. is a leader in the motion picture exhibition industry with 456 theatres and 5,152 screens in the U.S. and Latin America as of December 31, 2011. For more information go to www.cinemark.com.